Getting approved for a car loan is not impossible even if you have bad credit. 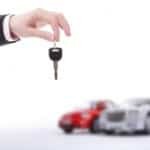 Below are seven essential tips on how you can improve your chances of getting your car loan approved despite your poor credit standing. 1. Search for lenders that cater to subprime borrowers. True, many lending companies today strictly require good credit. So, if you have a less than average rating, your car loan application will most likely get declined. However, if you look for lenders that offer bad credit financing, you can improve your chances of receiving the loan you need. 2. Use the internet to compare deals. Visit a loan broker’s website to compare bad credit car loan deals from different lenders. Pick your top two or three choices and check out the interest rate, fees, terms and conditions offered by each prospective lender. Remember to take your own credit report with you. You don’t want a lot of lenders pulling your credit and dropping your score. 3. Check the lender’s background. To avoid being ripped off by scammers and predatory lenders, take the time to research your prospective lender’s track record. You can do so by visiting the website of Better Business Bureau to find out more information about the company such as its rating and overall performance. Don’t forget about some of the great social networks that have cropped up over the last few years. For example, Yelp is a great site full of reviews from people in your community. 4. Order the most recent copy of your credit report from the three major credit bureaus. See to it that your report does not contain any error or outdated information which could pull your credit score down. If you find any, you can ask the bureau to make the necessary corrections by sending a letter via registered post mail. The process can take up to 30 days so it’s best to check your report at least two months in advance before applying for a bad credit car loan. loan. So, when asking a person to co-sign, be honest and discuss the terms of the loan as well as your strategy to ensure that you can make on time payments. Remember every time you are late making your payment it will not only hurt your credit, but it will hurt your co-signer as well. If for some reason you cannot make the payment on time, contact your co-signer and let him/her know. He/She might be able to lend you some money in order to make the payment on time. 6. Put away money for your down payment. You can significantly reduce the amount of the loan payment of your bad credit car loan, by providing a large down payment. It is recommended that you put down at least 20%. Submitting a higher down payment will not only improve your chances of getting approved, but it may also help you qualify you for a better rate. 7. Speak with a prospective lender. Meeting a potential lender in person will give you the chance to explain the circumstances that caused you to have poor credit. Moreover, you will have the chance to explain the steps you’ve already taken to improve your credit score. Tell the lender why you need to take out a car loan at this time and how it will help you regain your creditworthiness. A loan officer is more likely to grant approval of your car loan application if you can provide additional information, such as current pay stubs and additional security.